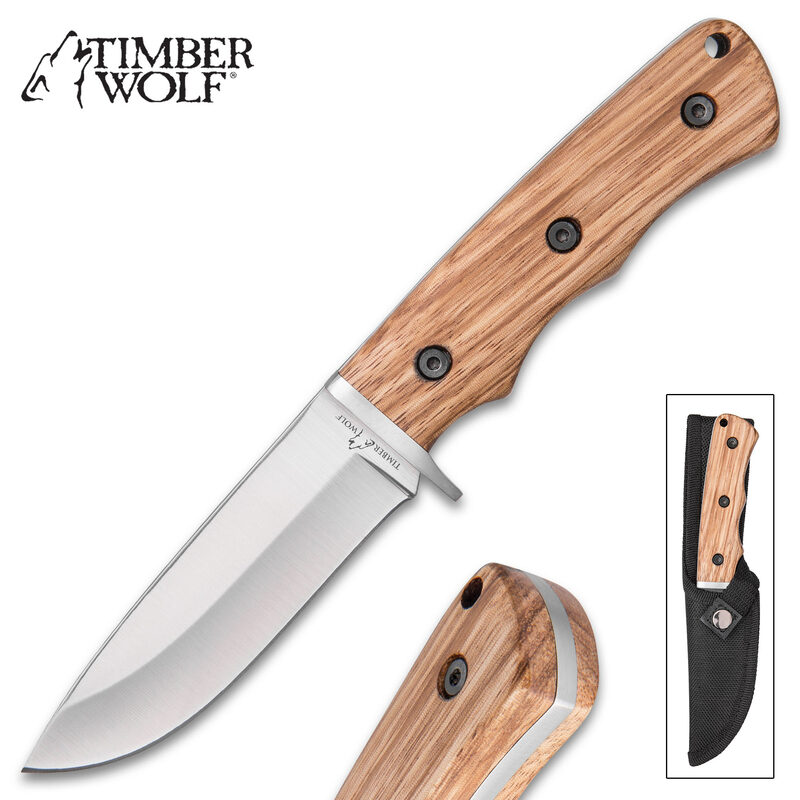 Hardness and durability are the hallmarks of the richly veined zebra wood used to craft the handle scales of this Timber Wolf fixed blade knife. The scales are securely fastened to the tang with heavy duty screws, assuring that when you use this awesome utility knife, you will never have to worry about its reliability. 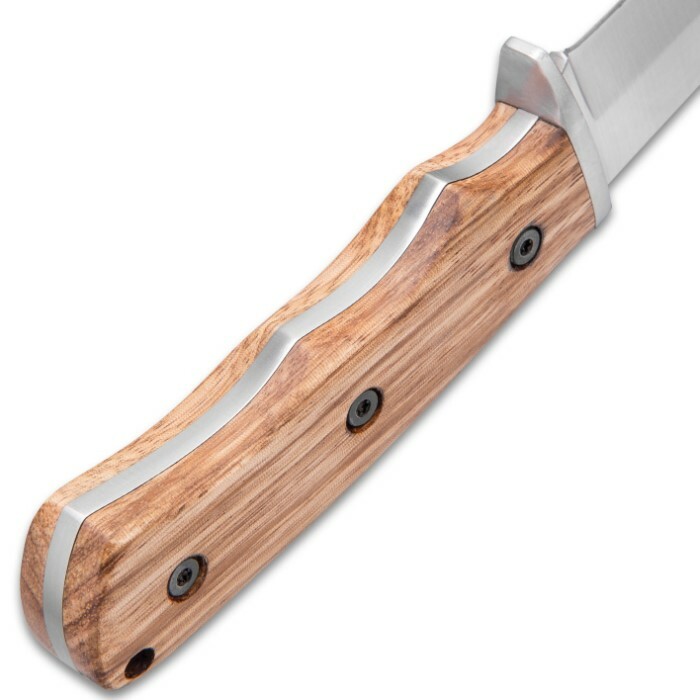 Combine the incredibly strong zebra wood with a 3 3/4” 420 polished stainless steel that’s razor sharp and you have a knife you will use for every situation. 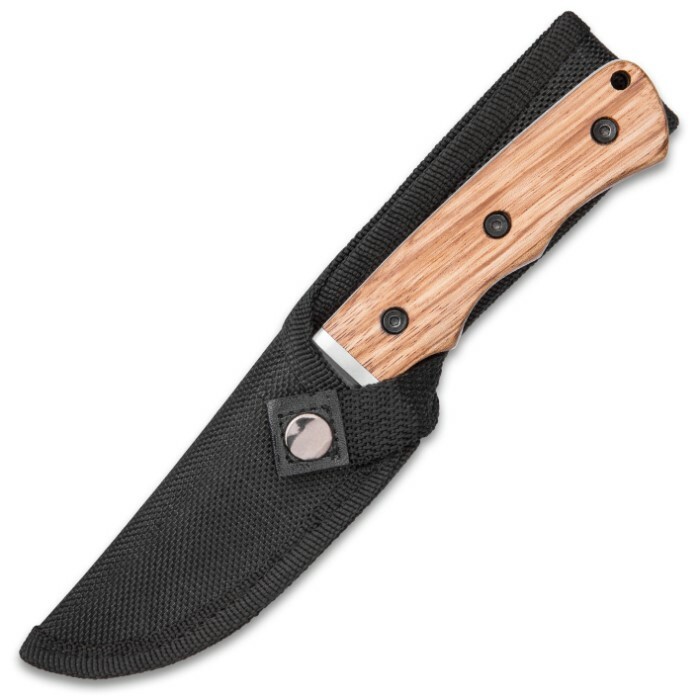 The fixed blade is protected by a premium, nylon belt sheath with a snap closure strap and a lanyard hole in the knife’s handle offers an alternative carrying option. I really was not expecting much when I ordered this knife but was pleasantly surprised when it arrived. It is made very well and feels good in your hand. It was fairly sharp. I just had to touch it up a little and it was real sharp. It says that it has polished blades but does not. 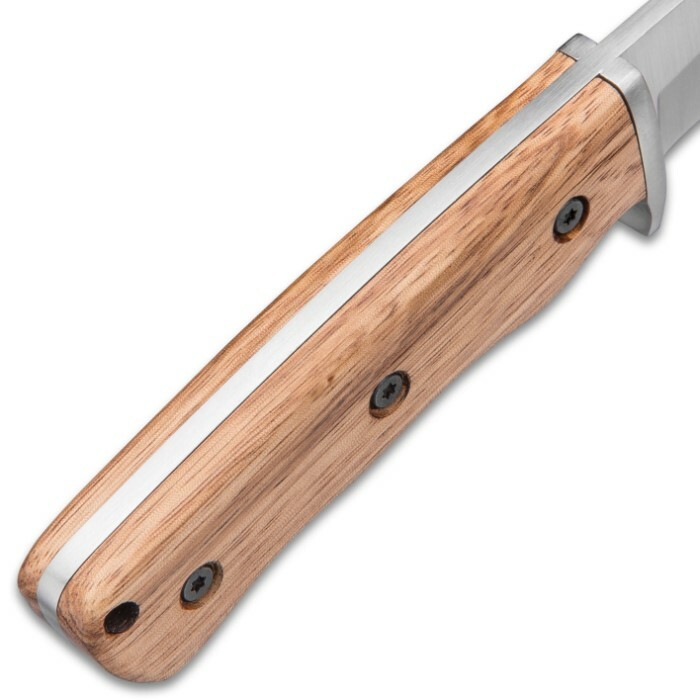 I don't care though because I plan on using it and the polished blades really show scratches. I bought this on sale for half price and free shipping. I really feel like I stole it because on Amazon they are almost $30. Just got my Timber Wolf Zebra Wood Fixed Blade Knife And Sheath I really like this knife good weight for a small fixed blade handle is very comfortable and looks great came sharp can see using this knife as a EDC for sure sheath is very usable thax Bud K.